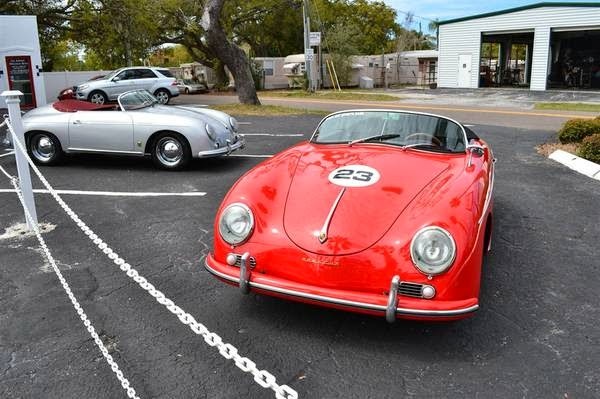 Buy Classic Volks – Porsche 356 Speedster Replica for sale in Largo, Florida, United States. 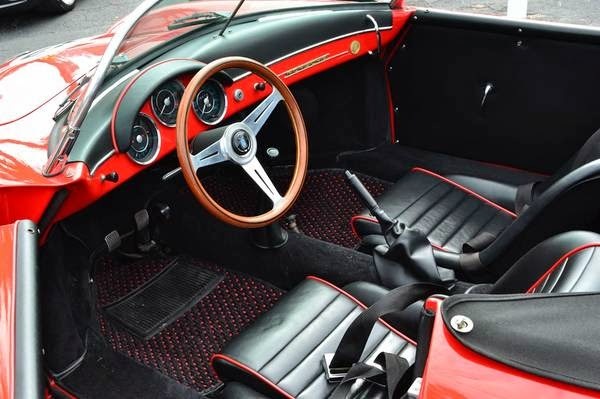 It’s a red 1957 Speedster 356 Replic was produced around ten years ago. Fun Summer Cruiser! 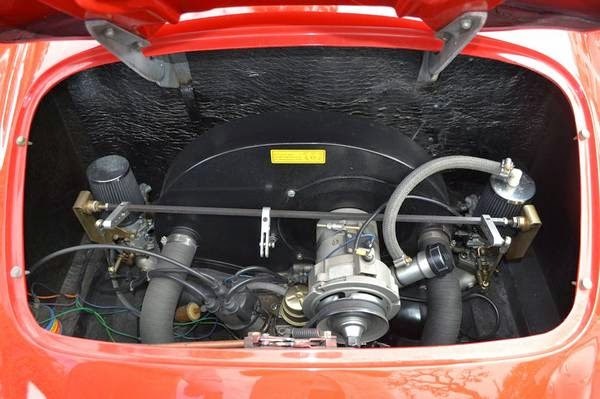 It has just been serviced and is in top condition inside and out. 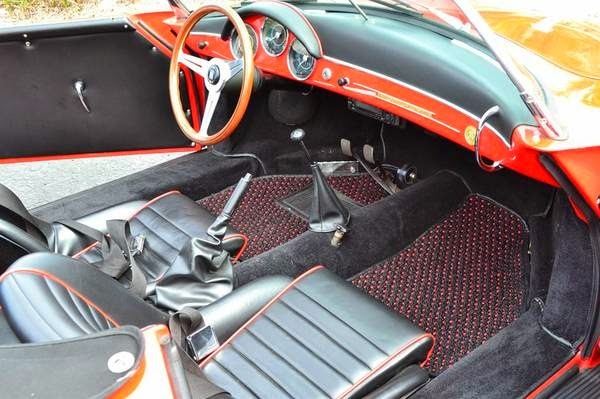 It has a great radio CD under the dash with speakers behind the seats that allow you to listen to all your favorite tunes as you cruise down the beach. We have added new weave floor mats and had the 23″s added – these numbers peel off and will not harm the paint. For those old enough to remember, when James Dean raced these cars his number on the car was 23. Further the car has new Pireilli tires, and needs nothing, but open road and the wind in your face. 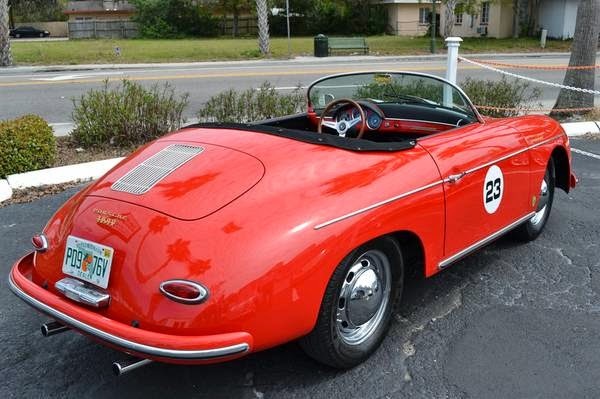 This entry was posted in 1957, 356, Closed, Porsche, USA and tagged Porsche 356 Roadster on July 3, 2014 by buyclass.